The Museum of History & Industry (MOHAI) announced the appointment of local Seattle attorney Shakespear Feyissa as its newest board of trustees member. The Museum of History & Industry (MOHAI) announced today the appointment of local Seattle attorney Shakespear Feyissa as its newest board of trustees member. Feyissa brings a wealth of experience in non-profit work, community outreach, and law practice. MOHAI’s mission is to collect and preserve artifacts and stories of Seattle’s diverse history, highlights the regional tradition of innovation and imagination. The trustees and staff of the museum of are currently engaged in many activities to celebrate to region, consistent with MOHAI’s vision, to make the Museum treasured locally and respected nationally as a vibrant resource where history inspires individuals to be their best, individually and collectively. Feyissa is the principal partner at Law Offices of Shakespear N. Feyissa, where he practices law in areas such as civil litigation, personal injury, criminal law, employment discrimination, and immigration. He earned a Juris Doctorate (J.D.) from Seattle University School of Law and has a B.A. in Political Science, Social Sciences, and Minor in History. Prior to immigrating to the United States, Feyissa was born in Ethiopia and spent three years in Kenya. 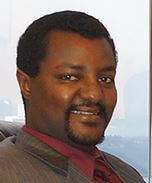 He remains an active human rights advocate and was recognized for his outstanding contribution for the respect of human rights in Ethiopia in 2007 at an event hosted by Amnesty International and Amnesty International USA at the Carr Center for Human Rights Policy, Kennedy School of Government, Harvard University. MOHAI is dedicated to enriching lives through preserving, sharing, and teaching the diverse history of Seattle, the Puget Sound region, and the nation. As the largest private heritage organization in the State of Washington; the museum engages communities through interactive exhibits, online resources, and award-winning public and youth education programs. For more information about MOHAI, please visit http://www.mohai.org or call (206) 324-1126. Law Offices of Shakespear N. Feyissa is a Seattle-based law firm that practices in civil litigation, personal injury, criminal law, employment discrimination, and immigration. The principal partner is Shakespear Feyissa, a resident of Seattle and recognized human rights activist. For more information visit http://www.shakespearlaw.com.